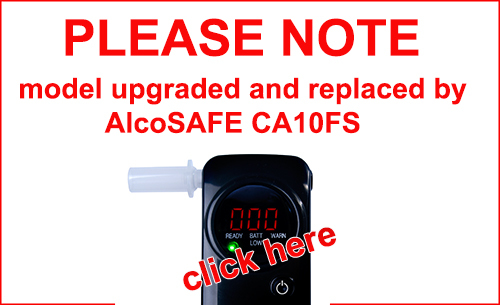 The AlcoSafe™ KX6000S breathalyzer has a unique, easy to read cutting edge easy read Traffic light system', that ensures a non confusing, easy read, accurate breathalyzer result - every time. You can't get it wrong ! Know Your Limit. Please watch the videos below. The first test shows a sample of breath which results in a 0.00 reading and a GREEN light TCSS Display (Safe). The second test shows a positive alcohol test resulting in a high reading and an accompanying RED light TCSS Display (Unsafe). There is a further warning from the TCSS Traffic Light System which will result in an AMBER (Attention/Caution) Display. 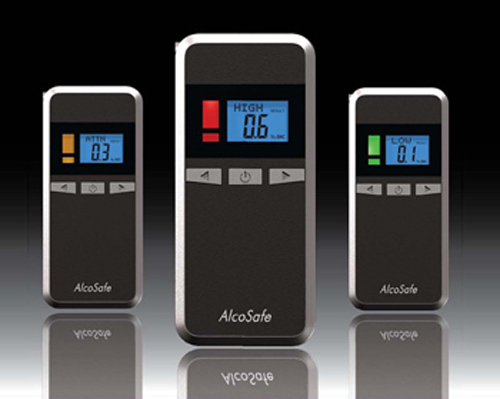 The AlcoSafe KX6000S is very easy to use - you can't get it wrong as the digital readout is always accompanied by the TCSS Traffic Light system display showing GREEN/AMBER/RED - Easy !! Free Upgrade to recorded delivery (Normally Next Day) will be automatically applied at dispatch - just click on free delivery at check out (UK mainland only). 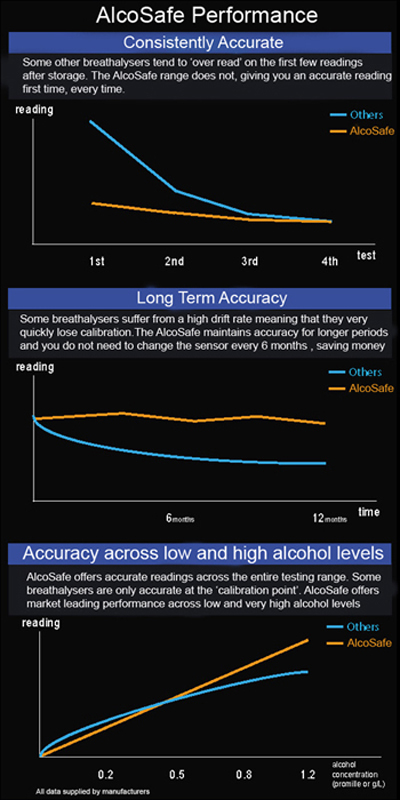 The Breathalyser is calibrated to the UK standard of %BAC but is fully usable in any country.